One of our favorite trends this fall is animal prints. 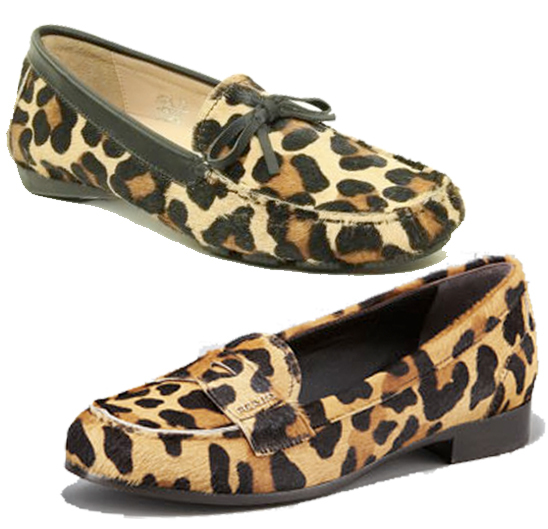 In fact we are currently working on a post dedicated exclusively to animal prints, but in the meantime we couldn't resist sharing these amazing leopard print loafers with you. We love this pair by Prada (bottom) and found a more affordable option that may be easier on your budget (top). Either one you choose is sure to add just the right amount of attitude to any outfit.